I wonder if there is any possibility of seeing new trains for Timberwolf in the near future? All the current PTC trains do is destroy the track and the riders legs It does seem that they are always fighting the trains as at least 2 or 3 cars don’t lock or unlock the restraints when they’re supposed to. It’s almost pointless to do this rehab if the track is going to go back to being rough in just a few seasons. You could already feel some jolts and deformations on the first drop just this season. 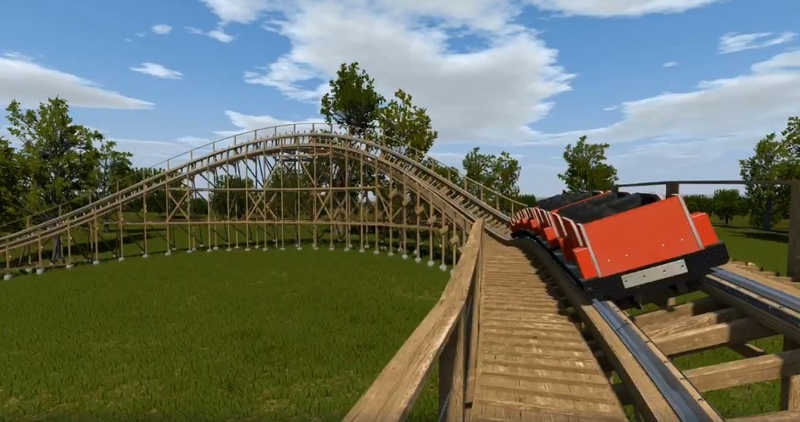 Jaykethekid wrote: I wonder if there is any possibility of seeing new trains for Timberwolf in the near future? All the current PTC trains do is destroy the track and the riders legs It does seem that they are always fighting the trains as at least 2 or 3 cars don’t lock or unlock the restraints when they’re supposed to. It’s almost pointless to do this rehab if the track is going to go back to being rough in just a few seasons. You could already feel some jolts and deformations on the first drop just this season. 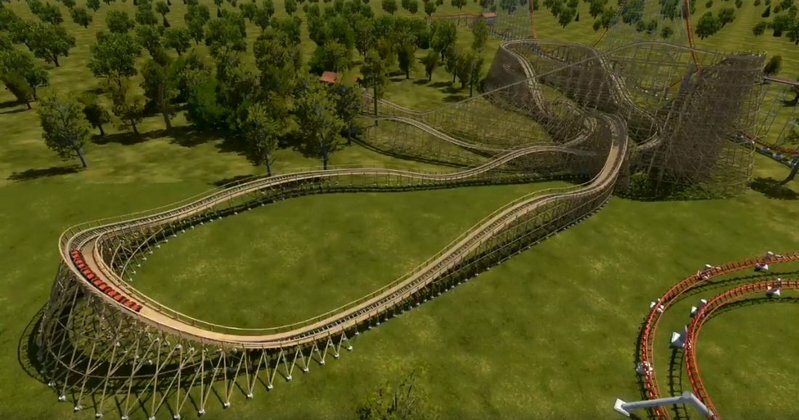 I believe the park was wanting to get GCI trains for Timber Wolf at one point, if the money was available, but I don't know where that stands now. The restoration work also included re-engineering the ride to help make it more rider and maintenance friendly. The sections of track that were already replaced (first drop to just before the helix) are very different from what the original ride was like. 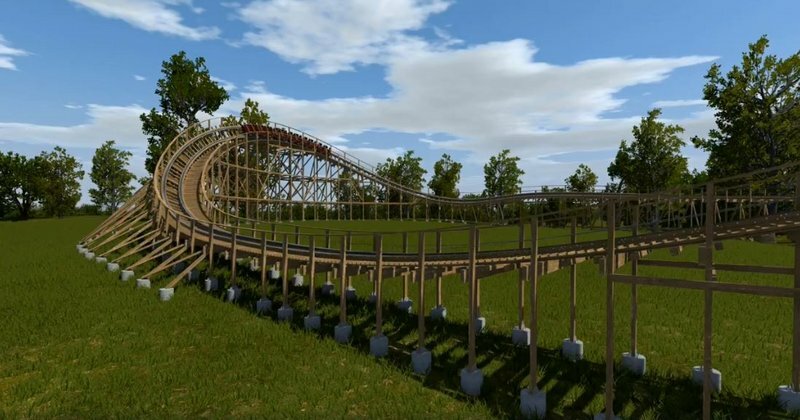 The ride now is MUCH tamer, has considerably less airtime and eases into the turns, so it is definitely causing a lot less wear and tear than it did in its original state. 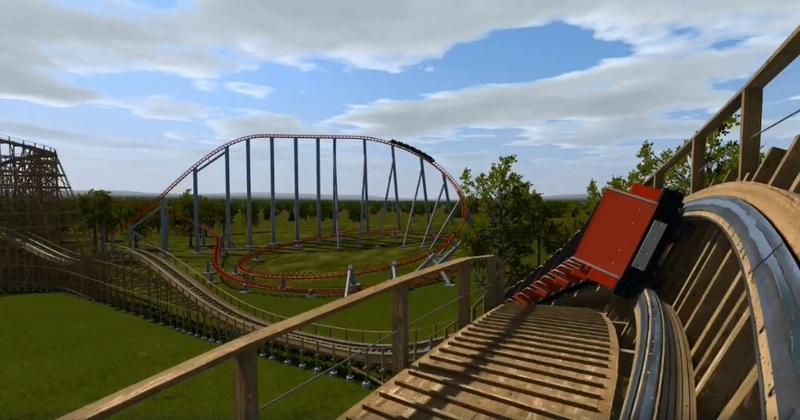 Check out the new design for timberwolf! Worlds of Fun announced today that the helix of Timber Wolf is being replaced with a "high-speed, over-banked, 70 degree turn". I'm glad that this is happening. It seems like timberwolf is getting a ghostrider-esque renovation but much more stretched out chronologically. Can't wait to ride timberwolf when it is 2/3 smooth next year. GCI started the retracking in 2015, this is the last piece. Since its debut in 1989, Timber Wolf has cast an imposing shadow on the surrounding woods as Worlds of Fun's first wooden roller coaster. Timber Wolf opened as the top wooden coaster in the world and then received accolades as a top wooden coaster for over 8 consecutive years. 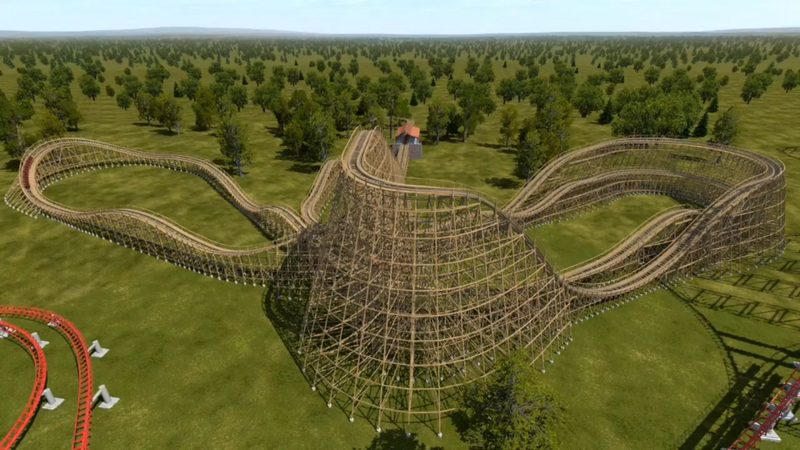 Now, fan favorite and our original wooden coaster gets a new finale! 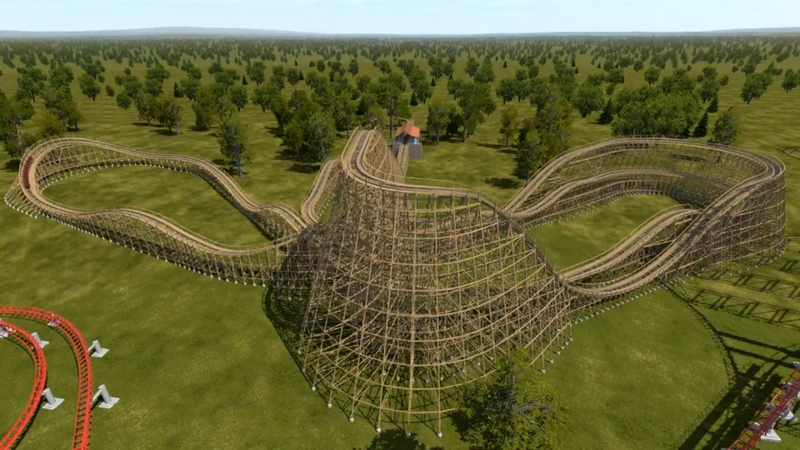 We are replacing the helix with a high-speed over banked 70 degree turn. This thrilling final corner turns riders nearly sideways! This twisted ending has been three-years in the making. In 2015, Worlds of Fun reengineered the track from the top of the first lift to the first bank. Then in 2016, work continued up to the beginning of the helix. Tony Carovillano, General Manager said, “The Timber Wolf has been a park staple for 29 years. Over the past three years guests have felt the difference that re-tracking and re-engineering has made in the ride’s overall experience. 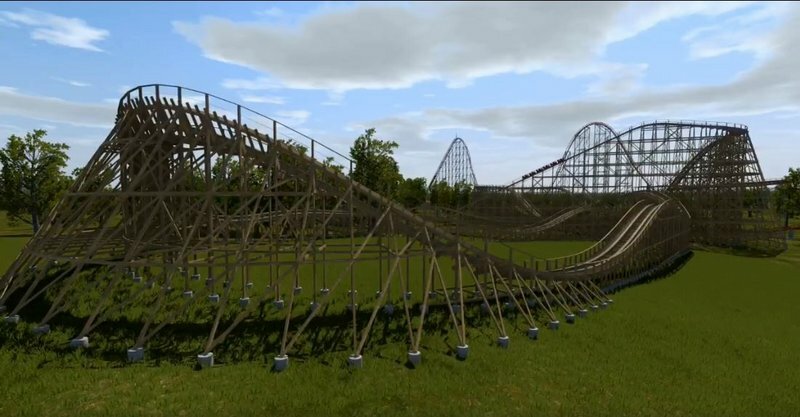 We know that the new twist at the end of his classic coaster will give guests a whole new reason to ride." Timber Wolf by the numbers: Timber Wolf opened in 1989 and climbs 100’ high. This classic coaster is in the Americana section of Worlds of Fun. Guests need to be 48” tall to ride. 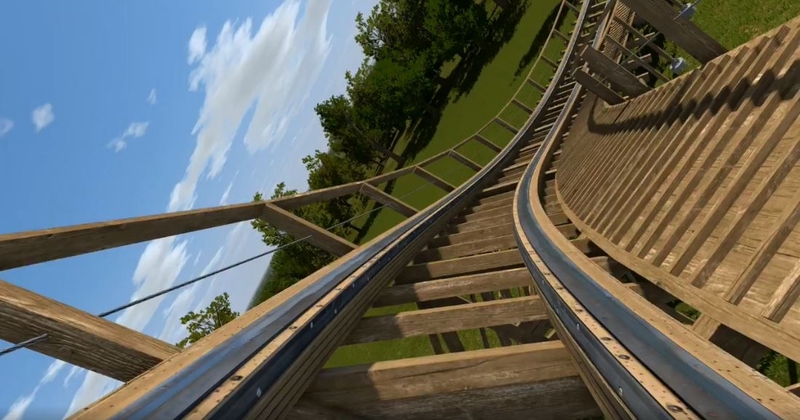 Timber Wolf features two trains of 6 cars arranged 2 across and in two rows per car. How many ride at once? Easy – 24 riders per train. 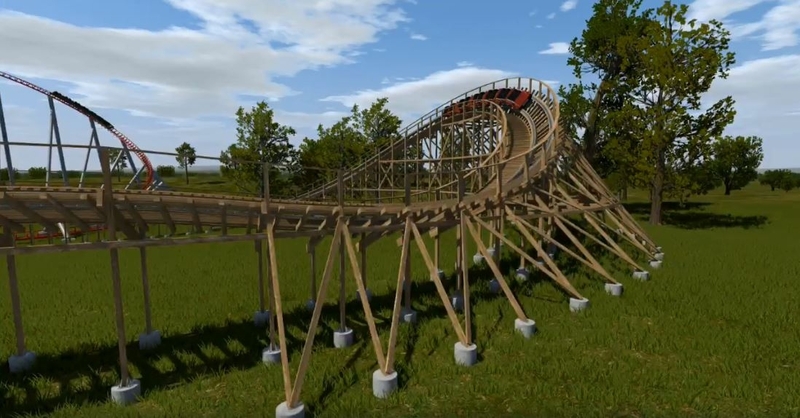 This new featured element is designed and constructed by Great Coasters International. Gold and Platinum passholders will be the first to ride with our #GoldPass Sneak Peek in late spring 2018. 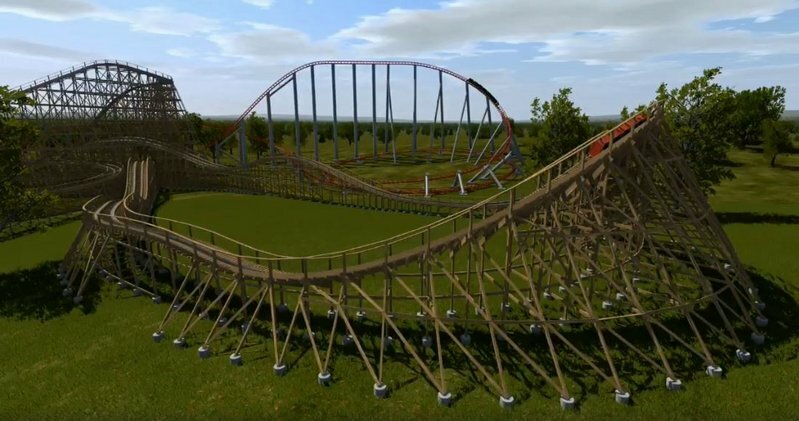 Timber Wolf joins two other projects in 2018: the all-new Nordic Chaser which is set to open on opening day 4/21/18. Plus, we are adding several new festive holiday features that will be unveiled when the second year of WinterFest opens before Thanksgiving on November 17, 2018. Meh... While it's going to be a slight improvement on the current ride experience, I wish they would have just shelled out the money to retrack the whole thing at once. These band-aid fixes over a several year span haven't made the ride much more enjoyable. The helix was rough, but it was also interesting and was fun when it was smoother. This ride has been neutered and modified so many times that it is barely recognizable compared to what it once was. Even with this modification it will probably still be too rough for a lot of kids, but it's too mild and unremarkable for anyone else. 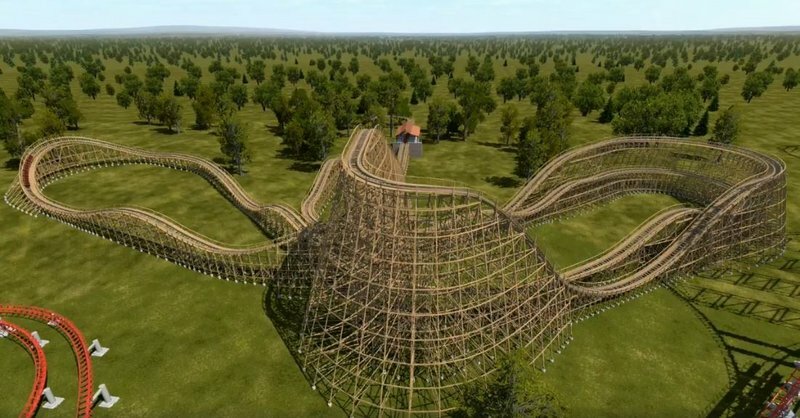 I would just tear it down and replace it with a junior woodie from M&V or Gravity Group at this point.